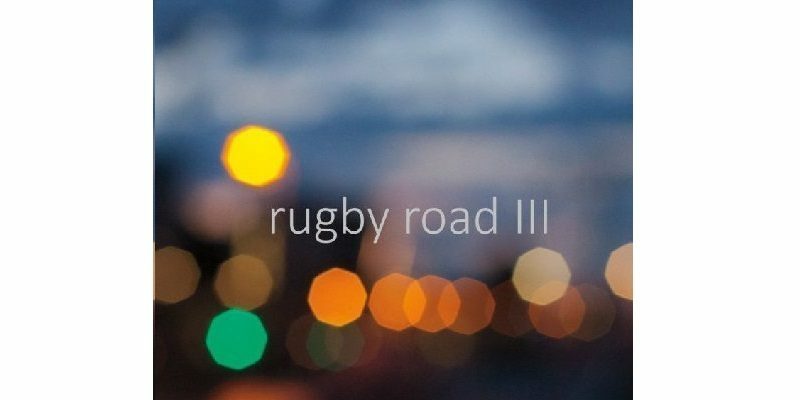 Rugby Road III is a concise and effective collection of tracks from a band whose love for and skill within the craft is unquestionably clear. The music has an acoustic feel at first, and in fact at several different moments throughout – there’s a sense that both an acoustic and fully amplified performance would work equally well with this particular set of songs. Give It Away has a folk rock or Americana twang to it for the most part, a simplistic musical backdrop that really allows you to appreciate the songwriting and the leading vocal delivery. Surprisingly, as the song progresses, the music evolves into something much more unusual. This retro, vintage collection of sounds provides the instrumental riff and adds a whole new sense of character to the recording. Back To You presents more of an indie rock vibe than the opener, though the meeting of the piano and the distorted guitars makes for something that again teeters between genres – there’s an incomparable element of soul to this one. It’s always a pleasure to hear music that is free from the confines or rules of what genre and style can sometimes dictate. The change is well placed, and the important thing is that the songwriting is absolutely on point. Back To You is an immediately memorable track, an anthem even, with a powerful hook section and a continuous warmth that brings with it a touch of melodic rock nostalgia. The piano returns for more of a central role in the song Spoken For. This is one that showcases the band’s somewhat more vulnerable side; the humanness of creativity, the truth of real emotional experience. The song lays bare the leading vocal performance in a way that allows it to really shine brightly and connect with listeners. This one is a deeply personal song it seems, but it features some pretty compelling storytelling that makes it accessible and enjoyable to listen to as an outsider. It also offers another superb hook, a mellow yet powerful moment of simple, effective lyricism. Once again, the musicianship surrounding the songwriting brilliantly reflects the changing mood throughout. The final song on the project is Nobody (Needs To Know). From the offset, the song has a certain energy to it that passes onto you as you listen. It’s an uplifting kind of mood, as opposed to the calming nature of the previous track. There’s an addictive rhythm at its core and it makes for a strong way to close down the collection. The leading riff used in the verses is so simple yet perfectly stylish and relevant to its surroundings. The lead singer featured throughout this project presents a voice that floats alongside of the music flawlessly. It always seems like a very natural, believable performance, again reinforcing the initial point that the band clearly possess a love and passion for the craft of creating and performing music. It certainly makes you crave a live performance – the sound of these instrumental flickers and the feeling expressed throughout is something that would likely reach even higher plains in a real time setting. As the final song progresses, the ambiance of the guitars, the mellow beat, the briefly chaotic snippets of emotion, all make for a stunning musical atmosphere within which listeners can completely relax. It’s a strong collection that’s easy to listen to a few times in a row and not tire of. Well worth a listen. Find and follow Rugby Road on Facebook. Visit their Website for more information.